British Columbia held the latest draw for its Provincial Nominee Program on January 17th, 2018. 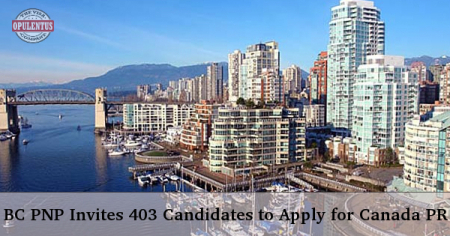 In this draw, 403 candidates were invited to apply. The numbers included a draw specifically done for technology which was held on January 24th. The minimum score required for skilled workers was 75 whereas 70 points were needed by international graduates and 40 were needed by entry-level/semi-skilled workers. British Columbia had launched the B.C. PNP Tech Pilot during 2017, which aimed to attract professional and skilled workers in thirty-two technology professions. There were specific B.C. PNP draws meant for technology workers since May 2017. For other categories of workers, the required score is quite low. To find out if you are eligible to Immigrate to Canada permanently, fill out a free evaluation form or contact us at [email protected] or call us 7207111222. One of our experts will meet your expectations and provide answers to queries.